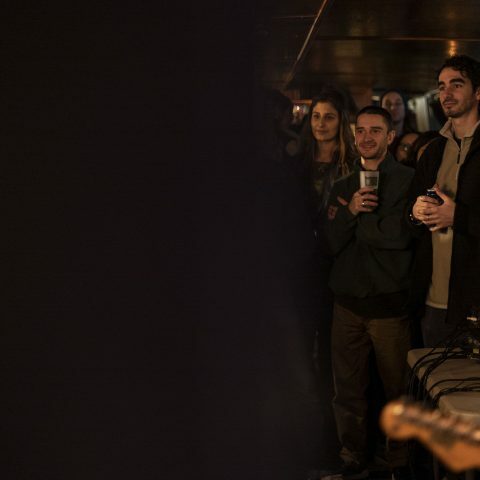 After the exciting news later that we would be teaming up with Lacuna Productions to create a unique range of live sessions, the very first Lacuna Productions x Tap The Feed event was under way! 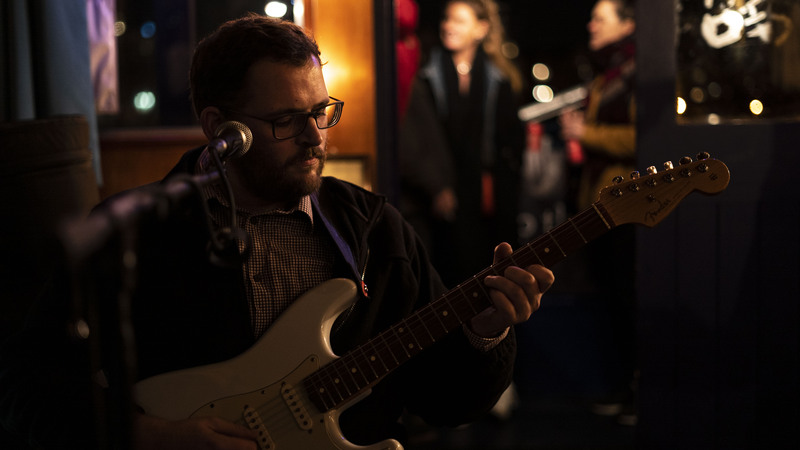 It was a chilly Monday night and punters packed the boat which was docked by the Harbourside; laden in fairy lights the intimate space proved to be perfect for the events which were about to unfold. After years of gigging around the country I can now safely say that I’ve been on a gig on a boat which is in transit – sorry Thekla. The atmosphere was buzzing, it was the perfect gig in the run up to Christmas. The first act of the night was singer-songwriter Joanna Cooke, a veteran to the music scene in the South West and tonight was her first gig in Bristol, although her calm demeanour and down to earth mannerisms had me thinking otherwise. “Thanks for coming here and supporting live music” she stated before then kicking things up a notch with ‘All For You’. A gospel-like number with influences of blues and soul, Joanna’s voice is massive and is a force to be reckoned with. Nathan Austin on guitar provided surf pop riffs which were then embellished with soulful chord progressions. Her cool charm is infectious as are the poppy undertones of her tunes; ‘All For You’ was the definition of a feelgood summer song. 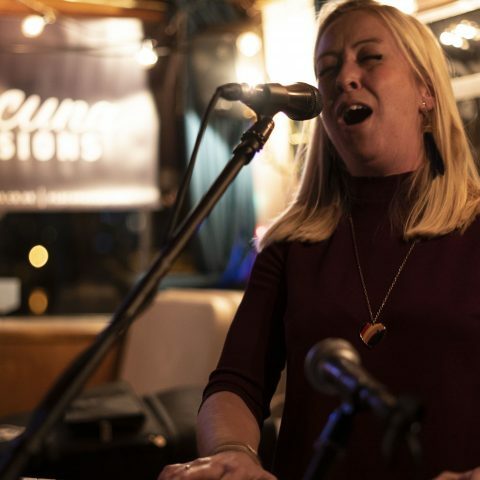 The poignant ‘Bright Lights and Glitter’ then followed, a homage to her hometown of Lyme Regis, filled with seamless riffs and shimmering examples of Joanna’s powerhouse of a voice – this one definitely tugged at the heartstrings. There was something magical about hearing heartfelt lyricism such as ‘if you ever find yourself on a stony track / don’t let the thoughts beneath the flowers hold you back’ whilst travelling around the harbour, the water being illuminated by Christmas lights. The tender ‘Do It Slow’ was her final number of the night, this song truly showcased Joanna’s dynamic vocal range with plenty of powerful intervals. Her influences in blues and gospel shine through on this track and it was a poignant tune to end her set with. Joanna is a natural born performer and I can only hope that there will be many more Bristol dares planned in the future. 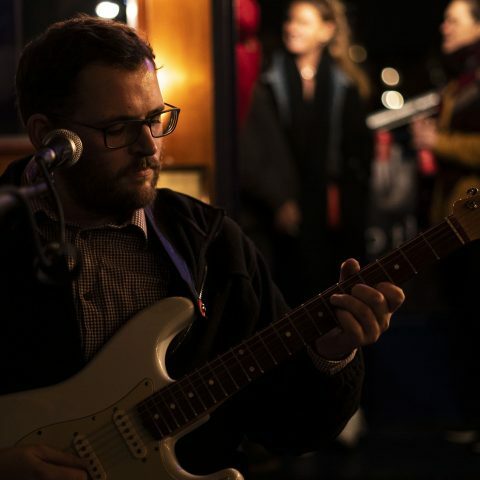 If you’re a frequent gig-goer chances are that you’ve stumbled across Waldo’s Gift working their magic at The Gallimaufry every week. 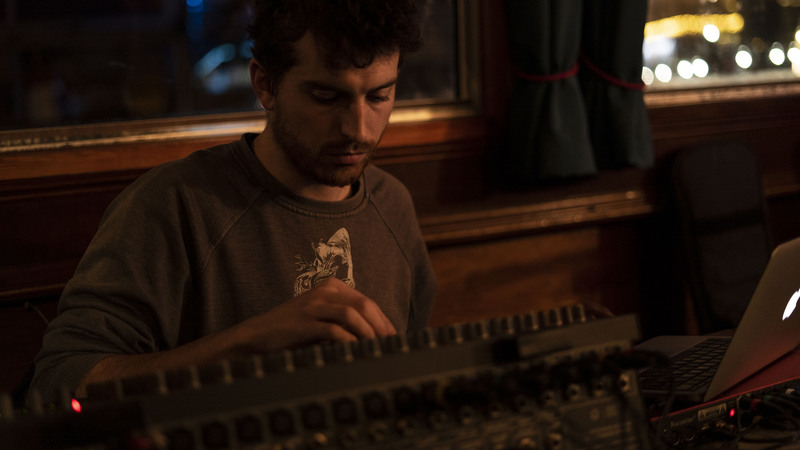 The three-piece have been fusing an amalgamation of genres through their live improvised sets, often lying somewhere between jazz insanity and math-hip hop. 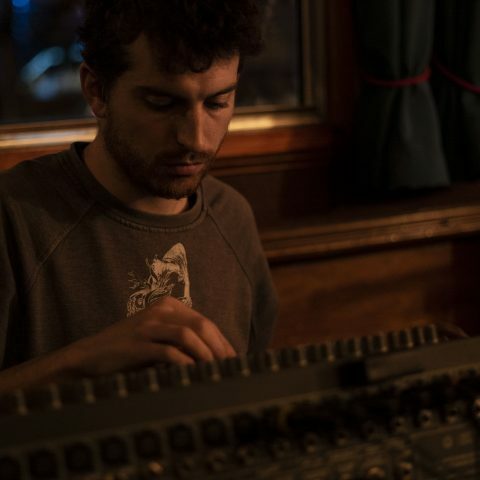 Performing a cinematic soundscape filled with transfixing loops, throbbing bass lines and dynamic drum breakdowns, Waldo’s Gift performances are certainly one of a kind and unlike anything I’ve previously seen. 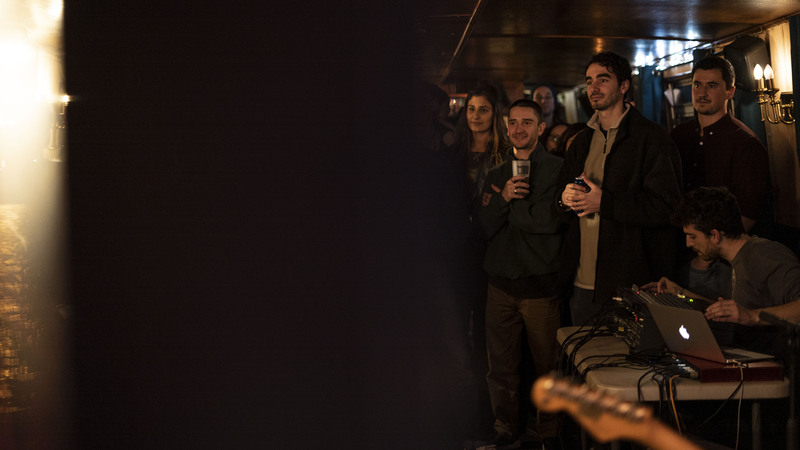 The floor began to tremble as a direct result of Harry Stoneham’s pulsating bass licks, meanwhile Alun Elliott-Williams was bent over his pedal board like a mad scientist making a concoction of ferocious loops. There were sections of manic ecstasy with epic drum patterns and layered effects, this mean brew then simmered down to solely Alun performing a quick fingered riff. They then performed another improvised number which was erratic and brash before weaving electro influences and suspenseful pockets of hypnotic riffs – it felt as though it was an improvised rock opera. Waldo’s Gift managed to squeeze in three improvised tunes, the last one being so transfixing I hadn’t even noticed that we’d docked. I’ve seen these guys plenty of times, with each performance differing from the last. Keep your eyes peeled for more Lacuna Sessions x Tap The Feed events in the future, it was a treat to have collaborated on this occasion. 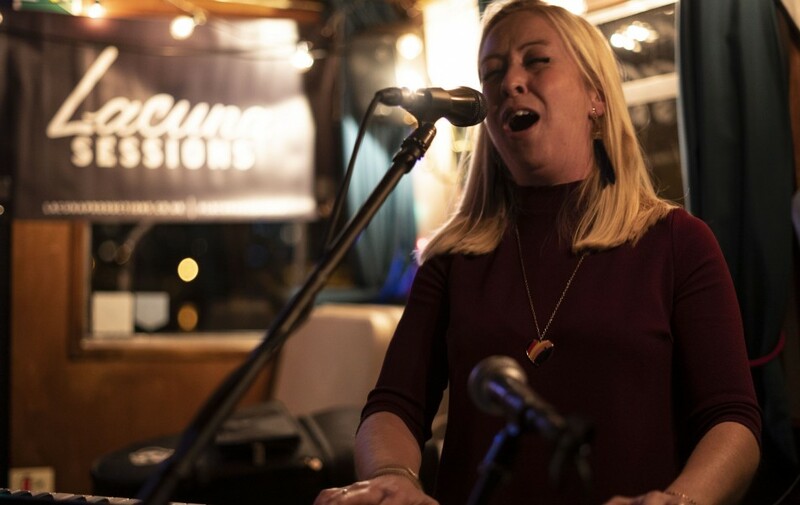 Check out the exclusive live sessions of Joanna Cooke and Waldo’s Gift above.